Posted on November 10, 2015 at 11:58 pm. 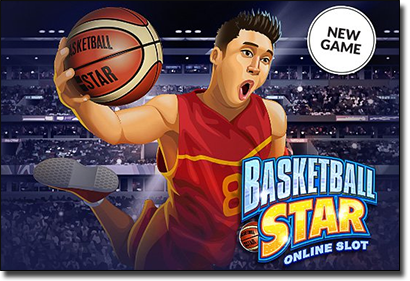 To celebrate the launch of the awesome new NBA themed pokies game Basketball Star, Guts.com is giving players the chance to score some massive prizes including a trip to the Big Apple, Apple gadgets, free spins and cash prizes. To be in the running, all you need to do is head to Guts Casino between the 5th and 25th of November, deposit at least $25 real money to your account and use it to play Basketball Star. Prize draw # 3 (26th November) – first prize is a trip for two to New York City including five nights luxury accommodation, $1,500 spending money and court side tickets to the New York Knicks VS Brooklyn Nets basketball game on February 19th. Second prize takes an Apple Gadget Pack consisting of an iPhone, iPad and iWatch while third prize wins an Apple Gadget Pack including iPhone and iWatch. On top of the major prizes, you can win free spins by unlocking in-game achievements as you play. Achievements are unlocked by landing on winning combinations of three, four and five matching symbols across an active payline. Every time you unlock an achievement when playing Basketball Star for real money, it will be recorded within your games paytable. You can click the ‘pays’ tab on the right hand side of the reels at any time to view your achievement progress, with completed missions highlighted in gold. The achievements and their accompanied free spins are displayed in the image below. The rewards for unlocking achievements range from 10 free spins to 100 free spins, with 920 free spins available all up. Any achievements earned playing on your smartphone or tablet are recorded separately from your desktop progress, which means you can unlock all achievements twice and double your total amount of free spins. 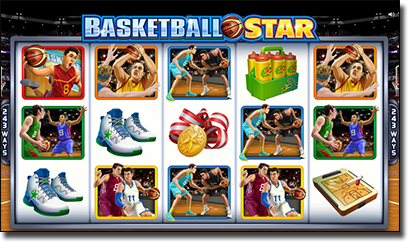 Basketball Star is a 243 way pokies game from legendary game developers Microgaming, the latest in the series of sports related pokies that includes Cricket Star and Football Star. The game comes with an epic jackpot of 120,000 coins along with bonus features like free spins, scatters and more than 40 wild symbols spread across the reels. The Wild Shot bonus can be triggered randomly at any time, turning two whole reels into wilds to form a guaranteed win. It doesn’t matter if you’re a basketball fan or not, Basketball Star will keep you on the edge of your seat. Head to Guts.com to get in on the action and you could be jetting off to New York City in no time. New players registering at Guts also receive a $400 welcome package plus 100 free spins on Starburst.